Social networking and blogging are like bee to a honey comb. They are both big on the internet and surprisingly they are very closely related with each other. If one has the habit of socializing on the internet then he will be a part of a social networking site and these days this habit has become more of an obsession with more and more people finding joy in maintaining a virtual network of friends. Networking is no longer confined to exchanging pleasantries, posting photos and casual chatting, it has now grown bigger by accommodating blogging which gives the whole proposition a marketing angle. This attempt of potential bloggers gouging for monetary benefits through social networking sites has given birth to the concept of social media marketing. Let us take an example here so that you understand the prospect more closely. 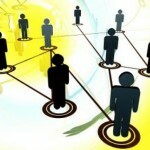 Assume that you are member of a networking site and within that site, you are part of a community. It is only obvious that you have a group of friends who are like minded i.e. take interest in the same issue as you do. Community members have this innate feeling of brotherhood and they always tend to create a cult for a cause they strongly believe in. When you write for a blog, you can use this exact sentiment to earn money for you. If you post a URL of your blog on your community page, it is very likely that your community members will check out your blog as they know that they will find something interesting on your page. And when more and more members start visiting your page the traffic on your site goes up by leaps and bounds. This is where you get a chance to maximize your money earning potential. With increased traffic you will be able to attain a higher page rank on popular search engines. Companies looking to promote their products or services online will approach you for advertising space on your blog page. By giving out space, you can charge them and for every such client you can earn a handsome amount! This entry was posted in Blog Writing and tagged Blogging, Blogging and Social Networking, Social Networking, Using blogs in social networking. Bookmark the permalink.